WhipTail'd... Into Shape! Get Fast Storage! It's Not too Late! website design and development. It’s true! Having exceptional clients is always one of the perks of working for an agency - especially when we can help those clients bring their online presence from funky to straight groovy (this is a good thing). We recently had the absolute pleasure of assisting one of our clients – WhipTail Tech – with a rather large website redesign project on the HubSpot CMS platform. WhipTail Tech is a New Jersey-based technology company offering one of the very first cost-effective solutions to enterprise-class storage utilizing super-fast solid-state drive (SSD) storage. 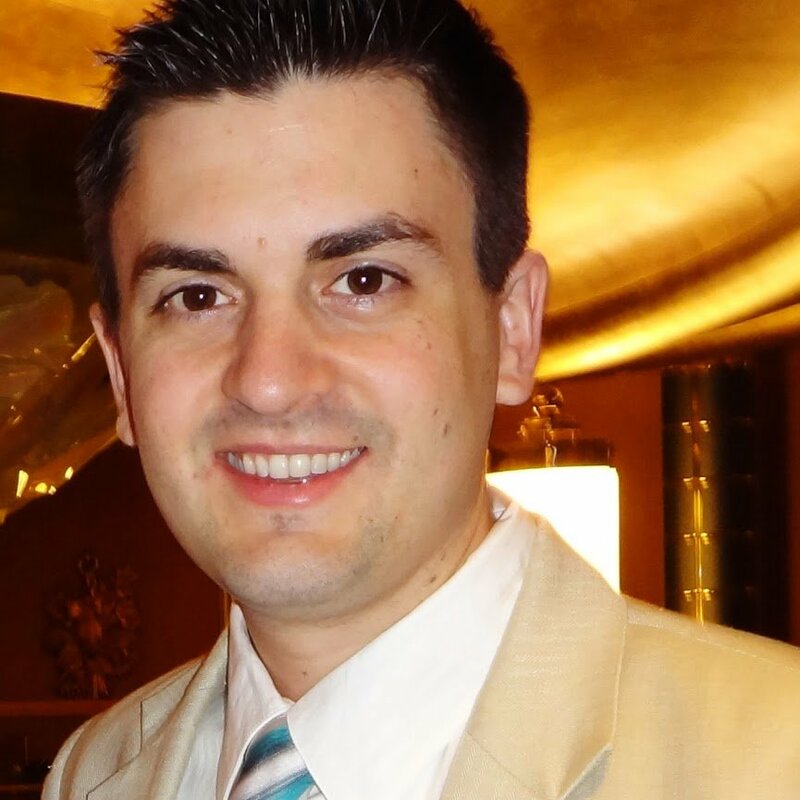 You can find out much more about them on their about page, but it started with an IT consultant named James Candelaria who tired of watching his enterprise-level clients spend more and more money and energy on decades-old technology that was coming close to hitting its operational ceiling. WhipTail Tech was founded in 2008 on the principals that new flash-based technology, married with efficient software, would drastically accelerate data access speeds without the typical expense of solid state drives. Operating under the mantra that “disk is dead,” WhipTail Tech introduced two new branded offerings: DataCenter XLR8r, a cost-effective flash-based storage array that allows companies and organizations to free up their datacenters of input/output (IO) bottlenecks; and Virtual Desktop XLR8r, which helps users dramatically increase the speed of access to their virtualized desktops. Some of the main benefits that made companies and organizations realize how effective WhipTail Tech’s technology was revolves around their use of solid state drives. Utilizing this method of storage for their products, the XLR8r line is highly tuned for low latency, high IO environments while also extending the life of the drives to beyond 7 ½ years. While some companies and organizations spend a staggering amount of their IT budget on traditional storage, only to see minimal increase in performance and higher costs in upkeep, WhipTail Tech encourages those that have viewed solid-state drive storage as expensive and prohibitive to think again. As one of the first companies to offer cost-effective, super-fast enterprise-class storage, WhipTail Tech has already grown tremendously in just a few years, offering a nationwide and international network of partners and resellers. 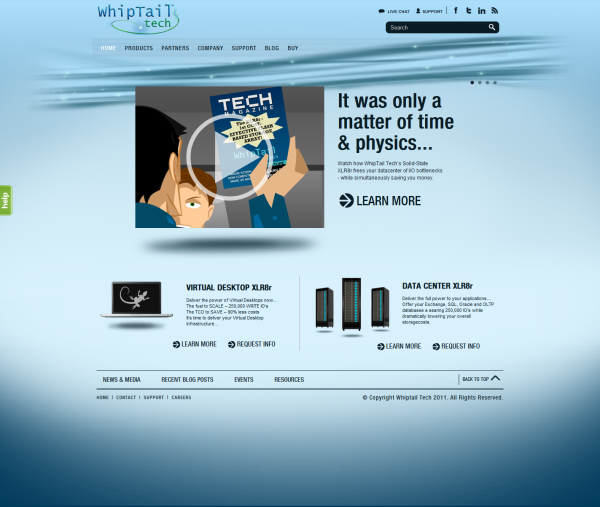 LyntonWeb helped design and develop the entire WhipTail Tech site from site map to site launch. They’re thrilled with their new website that reflects the company’s personality; generates new leads; and allows for more visitor interaction. We’re thrilled to be part of the company’s online growth as products continue to take the country, and soon the world, by storm. Check out WhipTailTech.com to learn more about the XLR8r line of products and more about the company, and if you fancy a great looking website that your customers will love, drop us a line.